It's no secret. 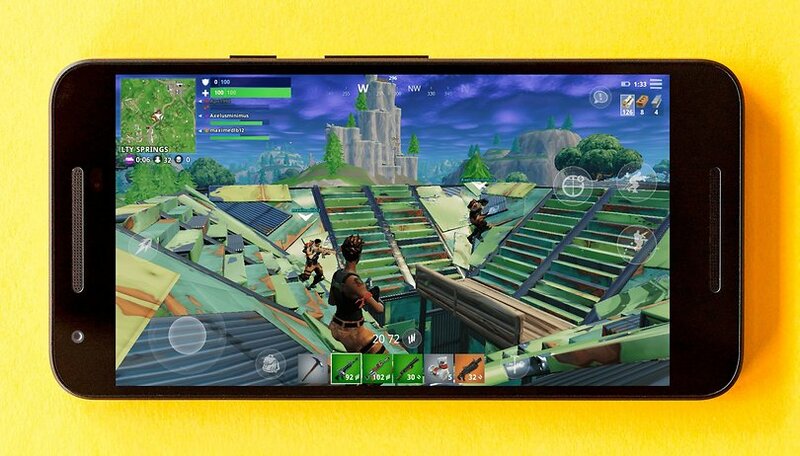 Many users are looking forward to Fortnite on Android. While the release date of the official game is still unknown, a list of compatible smartphones is known and it would even seem that the game is initially reserved for future buyers of the Galaxy Note 9. So when will Fortnite join the other Android games on the Google Play Store? Well so far all signs point to... "never". But there's another way. Several lines of code discovered by our colleagues at XDA Developers shed some light on how users will be able to download and install the game on their Android smartphone, and it doesn't involve going through Google's store. We discover in particular two images which explain that the game must be downloaded from a web browser and that it is necessary for the user after downloading the application to approve the installation of applications from unknown sources. The description indicates that this is necessary "to install any application outside the Play Store". Why wouldn't Epic Games offer Fortnite on the Google Play Store? The reason is simple: money. Epic Games earns money on its game through in-app purchases made by players. Thus, Fortnite Mobile on iOS is clearly a major source of revenue for Epic Games. For example, we are talking about $2 million a day. However, the company loses 30% of its profits because of the rules imposed by Apple in its application store. But while it is mandatory for Epic Games to go through the App Store to offer its games to iOS users, this is not the case for Android, Google does not prevent the installation of external applications. In concrete terms, if Epic Games did not distribute Fortnite Mobile on Android via the Google Play Store, it would avoid giving up 30% of sales to Google, because applications distributed on the Play Store must use billing via the Google Play application. A saving of $600,000 per day can be calculated (assuming that the game earns as much as on iOS). It now remains to be seen whether this solution will be the one chosen by Epic Games. If this were the case, this situation could give the idea to many other developers to do the same thing. What do you think of Epic Games' choice for the distribution of Fortnite? Do they even need Google's help? They will have to determine if they will lose more than 30% of their users by not having it on the Play Store. I'm going to guess, yes. If they lose 50% of their user base because they aren't willing to side load the game then that is a far greater loss than the 30% they would have to give Google. This would be a huge mistake on their end, a ton of people will end up with malware because of them if this happens not to mention they will lose out on a whole lot of installs because of people being too scared of not knowledgeable enough to install it. Some phones block apk installs pretty well also.